CONGRATULATIONS to the incoming new Australian Government headed by Prime Minister-elect Tony Abbott. His coalition of Liberal and National parties won a decisive victory in the House of Representatives in Saturday’s federal election although no party will command a majority in the Senate. The new ministry will be formed within one week with LP deputy leader Julie Bishop exercising her right to become Minister for Foreign Affairs. A new Trade and Investment portfolio will be represented separately. Mr Abbott has promised “no surprises” in the relationship with the Indonesian government and has previously announced that his first overseas trip will be to Jakarta for, ''in the great scheme of things, it's our most important relationship”. He has also promised greater consultation with Jakarta and pledged he would never act as the previous Labor Government did in suspending live beef exports to Indonesia in 2011. In a bellwether statement on future directions in foreign policy, Mr Abbott said the new government’s international engagement would entail “more Jakarta and less Geneva”. This signals special emphasis on Australia’s immediate neighborhood, the conduct of bilateral relations in Asia and a range of parochial concerns directly connected to the “national interest” rather than a wider internationalist agenda. Coming to office just as Australia assumes the temporary chairmanship of the United Nations Security Council, Mr Abbott has set a modest tone for foreign policy by declaring Australia should not seek to rise above its international station. Instead, Mr Abbott will seek to strike a contrast with his globetrotting, Chinese-speaking predecessor by adopting a pragmatic commitment to those foreign policy issues that have a direct impact on Australia. Hence, the general focus of the new government’s foreign policy will be economic diplomacy - promoting the “economic interests of the Australian people and Australian businesses in its international engagements” - alongside regional security, counterterrorism, freer trade and investment flows in East Asia, people-smuggling, and action on climate change (read measures to avoid pressure for carbon pricing). While remaining committed to “APEC, regional trade negotiations and the World Trade Organisation and Doha Round of multilateral trade negotiations”, his government will seek to “fast track” free trade agreements with Indonesia and other Asian countries. Growth in International Development Assistance will be reduced over the forward estimates in the next four years. Although there is a substantial budget targeted to the immediate region, the cuts to the projected aid budget will have the most impact on Indonesia as the single largest recipient of overseas aid. Moreover, the Liberal-National Coalition has pledged an "unambiguous focus on promoting the interests of Australian businesses abroad ... [building] on our 2005 commitment to the OECD ‘Aid for Trade’ initiative." Despite the status accorded the US-Australia alliance, the government is expected to continue in a bipartisan spirit the rapid buildup of defence cooperation and training programs that have occurred in recent years. The current high levels of consultation between the defence and military establishments of both countries are to be maintained and expanded, reflecting the preeminent position of Indonesia in Australian strategic planning. The new government expects that its Sovereign Borders policy, which it argues will be consistent with the Howard Government’s Lombok Treaty with Indonesia, “will help restore the good relationship with Indonesia that Australia previously enjoyed.” It will allocate $420 million to policy measures to disrupt people smuggling through a regional deterrence network, including boosting intelligence gathering, joint operations with Indonesian police and, with the involvement of the Indonesian police and the International Organization for Migration, a ''community engagement program'' targeting 100 villages on the south coast of Java. Liberal Party Deputy Leader Julie Bishop expects the 'New Colombo Plan' will be come a 'right of passage' for young Australians to "live and study in Asia, immersing themselves in the culture and language of another country." The plan also includes instructing the Australian Defence Forces to “turn back’ boats attempting illegal entry into Australian waters, “where it is safe to do so” and, “where possible”, to “provide support” to Indonesia to intercept vessels departing its shores. It is inevitable this controversial aspect of the policy will be subject to extensive discussions and consultation with Indonesia. It will be the most hazardous of the government’s policies for the stability of relations with Jakarta. The new government also needs to remember concern about sovereignty cuts both ways. Mr. Abbott will have no trouble asserting Australia’s commitment to Indonesia’s territorial sovereignty over the Papuan provinces. But it will have to be careful in the handling of the boat people issue that Indonesians do not feel Australia is interfering in internal affairs. To broaden people-to-people links between Australia and Asia, a major initiative will be the government’s proposed “New Colombo Plan” to encourage Australian undergraduates to study in Asia or undertake internships with businesses or NGOs in the region. Costing $100 million over five years, the program is expected to be trialled in 2014 with up to 300 students funded for placements in Indonesia, Singapore, Japan and Hong Kong. The Abbott-led government will also need to build on the enthusiasm for Australian connectivity with Asia, particularly Indonesia, which was stimulated by the Gillard government’s 2012 White Paper on Australia in the Asian Century. The document at the very least provided a framework for increased state and territory activity in Indonesia, for business organisations to consider how to assist expanding their SME members’ export endeavours, and for the cultural, sports and education sectors to plan engagements in people-to-people activities. But at a time of considerable pressure on the Australian budget, many desirable initiatives, such as increased funding for language training and averting a collapse in the study of Indonesian in Australia, might prove too costly in the short-term. It is likely some of the more ambitious plans put forward by Australian businesses and individuals in the region during the Asian Century consultations will struggle to obtain funding. Following shifts in policies in the lead up to the Australian election, the new Australian government and the new leadership of the Australian Labor Party may find more common ground and may reduce their politicking on issues affecting Australian-Indonesian relations in the new parliament. Respected former ambassador, John McCarthy, made a public plea during the election campaign for greater bipartisanship in policy on Indonesia. Any moves to take relations with Indonesia out of domestic politics would be a step forward. 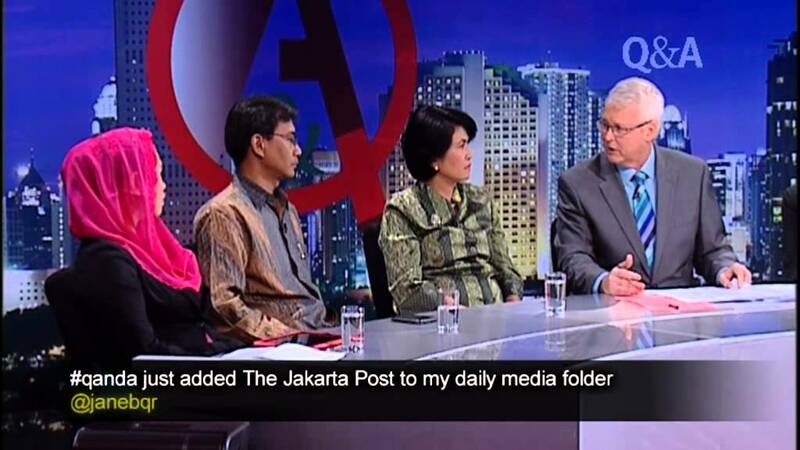 Both Australia and Indonesia are plugged into the digital news world and social media, and opinions expressed in one uninformed country are easily accessible in the other. Conflicting messages can easily be misinterpreted or exasperated, particularly as Indonesia itself is now entering its parliamentary and presidential election period, which may extend through to October 2014. In this environment, it will be beneficial for Australia to pave the way for Indonesia’s political transition by actively trying to engage with frontrunners for the presidential election, and their key supporters and advisers. It will be wise to persist with attempts to have leading candidates visit Australia, even at the risk of some controversy. The courtesy shown by Indonesia’s President Susilo Bambang Yudhoyono in agreeing to meet Mr Abbott as opposition leader should be noted. It in turn sets a useful precedent for Mr Abbott. The new Australian government would also be wise to heed advice from Mr McCarthy that it proceed slowly and steadily with Jakarta and not expect overnight success with its people smuggling initiatives. The government needs to ensure that it has a balanced relationship with Indonesia and avoids the risk of a single issue dominating or becoming a litmus test of the health of bilateral ties. There is too much at stake on both sides. One useful step would be to ensure consistency in Australia’s diplomatic representation in Indonesia during this volatile period by extending Ambassador Greg Moriarty’s term.